Glucagon increases circulating fibroblast growth factor 21 independently of endogenous insulin levels: a novel mechanism of glucagon-stimulated lipolysis? Glucagon reduces body weight by modifying food intake, glucose/lipid metabolism and energy expenditure. All these physiological processes are also controlled by fibroblast growth factor 21 (FGF-21), a circulating hepatokine that improves the metabolic profile in obesity and type 2 diabetes. Animal experiments have suggested a possible interaction between glucagon and FGF-21 however, the metabolic consequences of this crosstalk are not understood. The effects of exogenous glucagon on plasma FGF-21 levels and lipolysis were evaluated in healthy volunteers and humans with type 1 diabetes, as well as in rodents with streptozotocin (STZ)-induced insulinopenic diabetes. In vitro, the role of glucagon on FGF-21 secretion and lipolysis was studied using isolated primary rat hepatocytes and adipocytes. Fgf-21 expression in differentiated rat pre-adipocytes was suppressed by small interfering RNA and released FGF-21 was immunoneutralised by polyclonal antibodies. 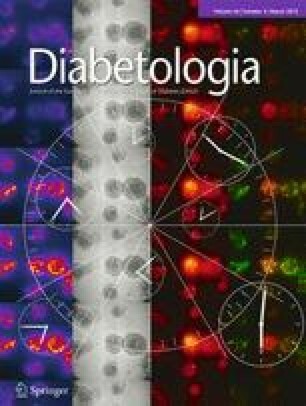 Glucagon induced lipolysis in healthy human volunteers, patients with type 1 diabetes, mice and rats with STZ-induced insulinopenic diabetes, and in adipocytes isolated from diabetic and non-diabetic animals. In addition, glucagon increased circulating FGF-21 in healthy humans and rodents, as well as in patients with type 1 diabetes, and insulinopenic rodents. Glucagon stimulated FGF-21 secretion from isolated primary hepatocytes and adipocytes derived from animals with insulinopenic diabetes. Furthermore, FGF-21 stimulated lipolysis in primary adipocytes isolated from non-diabetic and diabetic rats. Reduction of Fgf-21 expression (by approximately 66%) or immunoneutralisation of released FGF-21 markedly attenuated glucagon-stimulated lipolysis in adipocytes. These results indicate that glucagon increases circulating FGF-21 independently of endogenous insulin levels. FGF-21 participates in glucagon-induced stimulation of lipolysis. The online version of this article (doi: 10.1007/s00125-012-2803-y) contains peer-reviewed but unedited supplementary material, which is available to authorised users. Fibroblast growth factor 21 (FGF-21) is a member of a family of atypical fibroblast growth factors predominantly produced in the liver [1, 2]. Rodent studies have shown that during fasting FGF-21 stimulates hepatic fatty acid oxidation, ketogenesis, lipolysis and gluconeogenesis to supply metabolically active tissues with substrates [3, 4]. However, another animal study showed that in the fasting state FGF-21 inhibits lipolysis, whereas in the fed state FGF-21 stimulates it . In vitro, FGF-21 stimulates lipolysis in murine 3T3-L1 adipocytes , whereas opposite effects have been observed in isolated human adipocytes . Serum FGF-21 concentrations are elevated in patients with obesity and metabolic syndrome , while increased levels of FGF-21 in the liver and adipose tissues were reported in obese db/db mice . FGF-21 alleviates hyperglycaemia, improves lipid profile and reduces body weight in animal models with type 2 diabetes and obesity [1, 8]. Increased glucagon and low insulin levels contribute to the maintenance of normoglycaemia during the fasting state. In adipocytes glucagon stimulates lipolysis, whereas in hepatocytes glucagon inhibits glycolysis, triacylglycerol synthesis, and stimulates gluconeogenesis, glycogenolysis, ketogenesis and beta oxidation of NEFA [9, 10, 11]. As with glucagon, plasma concentrations of FGF-21 and hepatic Fgf-21 mRNA expression increase during fasting and starvation, whereas in the fed state Fgf-21 expression and plasma protein levels are low [2, 6, 7, 8]. Discordant data exist regarding the impact of glucagon on FGF-21 production and plasma levels. In rodents glucagon seems to stimulate Fgf-21 expression in vitro and in vivo [12, 13, 14, 15], and these effects are somewhat augmented by NEFA . However, another study reported that glucagon fails to stimulate hepatic Fgf-21 mRNA expression in rodents . Discrepant observations were also reported regarding the role of insulin in glucagon-stimulated FGF-21 production . In non-diabetic humans, an approximately sevenfold increase in circulating insulin was associated with a minimal elevation of FGF-21 . In contrast, circulating FGF-21 increased after insulin was removed from patients with type 1 diabetes . In vitro, insulin inhibited glucagon-stimulated hepatic Fgf-21 expression in rodents . In light of these inconsistencies, the aim of the current study was to investigate whether endogenous insulin influences the glucagon-dependent regulation of FGF-21 production, secretion and FGF-21 plasma levels. This question was addressed in a prospective study involving healthy individuals, humans with type 1 diabetes, as well as animals with streptozotocin (STZ)-induced insulinopenic diabetes. Complementary experiments were performed on isolated hepatocytes and adipocytes. In addition, the study investigates the impact of glucagon on lipolysis in vivo and in vitro and proposes FGF-21 as novel mediator of the lipolytic activity of glucagon. Prospective investigations were performed in 13 consecutively recruited lean healthy participants (LP) and in 13 patients with type 1 diabetes (Table 1). LP underwent standard endocrine tests  to exclude any hypothalamo-pituitary abnormalities. Inclusion and exclusion criteria are listed in electronic supplementary material (ESM) Table 1. The study protocol was approved by the Ethical Committee of the Charité University of Berlin and performed according to the requirements of the Declaration of Helsinki. Written informed consent was obtained from all participants. The trial was registered at ClinicalTrials.gov (registration number NCT00929812). In all participants, a full medical history was obtained, followed by physical examination. In a double-blind crossover design, LP and patients received either glucagon (1 mg GlucaGen; Novo Nordisk Pharma, Bagsværd, Denmark) or placebo intramuscularly, as described previously . Type 1 diabetic patients were asked to omit their insulin only on the morning of the test, but received their long-acting insulin analogue on the evening before the test. Participants remained supine until the end of the test. Blood samples were taken at 30, 60, 120, 180 and 240 min after the glucagon injection; serum and EDTA plasma samples were stored at −80°C. The experiments were approved by the Local Ethics Commission for Investigation on Animals, Poznań University of Life Sciences. The recommendations set out in ‘Principles of laboratory animal care’ (NIH publication no. 85–23, revised 1985; http://grants1.nih.gov/grants/olaw/references/phspol.htm) were followed. Adult male Wistar rats (200 ± 30 g, 10 weeks old) and C57Bl male mice (20 ± 4 g, 16 weeks old) were from Lab Animal Breeding (Brwinow, Poland) and Academic Experimental Animal House (Research and Service Center, University of Gdansk, Poland). Animals were housed at a constant temperature, 12/12 h light/dark cycle and fed a standard laboratory diet (Labofed–H, Kcynia, Poland), with free access to water. Animals were allowed to recover for 2 weeks. Diabetes was induced in rats by STZ (65 mg/kg body weight i.p.). In mice, pancreatic beta cells were destroyed by STZ injected i.p. at day 0 (100 mg/kg body weight) and day 7 (80 mg/kg body weight) [21, 22, 23]. Blood glucose and fasting insulin concentrations were assayed 4 days after STZ administration (rats) or 7 days after the second STZ injection (mice). Insulinopenic diabetes was confirmed by undetectable plasma insulin (<17 pmol/l) and blood glucose concentrations ≥16.6 mmol/l (Table 2). After a 4 or 24 h fast, glucagon (0.05 mg/kg body weight) ± des-His1[Glu9] glucagon amide (2 mg/kg body weight) or vehicle was injected i.p. Blood (15 μl) was collected from tail veins. Animals were decapitated 4 h after injection and blood and tissues were collected. Unless otherwise stated, all reagents were purchased from Sigma-Aldrich (Deisenhofen, Germany). Specifications and dilutions of antibodies are given in ESM Table 2. DMEM, Eagle’s minimal essential medium (EMEM), Hanks’ balanced salt solution and supplements were obtained from Gibco Invitrogen (Karlsruhe, Germany). The non-thiazolidinedione peroxisome proliferator-activated receptor γ (PPARγ) agonist (nTZD), indole-acetic acid (2-[2-(4-phenoxy-2-propylphenoxy)ethyl] indole-5-acetic acid), was from MSD (Rahway, NJ, USA) . Recombinant mouse FGF-21 was obtained from Biovision (Milpitas, CA, USA). Blood glucose, serum insulin and plasma glucagon levels were assessed, as described . NEFA were measured by a calorimetric assay (NEFA C; Wako, Neuss, Germany) performed with a Cobas Mira (Roche, Basel, Switzerland). The inter-assay CV was 4.7%. FGF-21 levels were determined using a human RIA (Phoenix Europe, Karlsruhe, Germany). The intra-assay CV was 4.1% and the inter-assay CV was 9.2%. Hepatocytes were isolated , diluted (106 cells/ml) in EMEM and incubated with glucagon at 37°C in a shaking water bath. Adipocytes were isolated according to the method of Rodbell  with some modifications, as described . Adipocytes (106 cells/ml) were incubated in Krebs-Ringer-bicarbonate-HEPES (KRBH) (5 mmol/l glucose, 3% wt/vol. BSA) with test agents at 37°C in a shaking water bath. Primary rat pre-adipocytes were isolated from epididymal fat pads. Cells were differentiated into mature adipocytes, as described . Lipolysis was determined by measuring the concentration of released glycerol in incubation medium using ‘free glycerol reagent’ . The results were normalised to cell number and are expressed in mmol/106 cells. Immunoneutralisation of released FGF-21 was performed in rat pre-adipocytes differentiated in vitro for 6 days using 1 μg anti-FGF-21 polyclonal antibody or a non-specific control IgG antibody. In rat pre-adipocytes differentiated in vitro for 6 days, the lipolysis experiment was started 28 h after treatment with Fgf-21small interfering (si)RNA or control (scrambled) siRNAs (Santa Cruz Biotechnology, Santa Cruz, CA, USA). Rat FGF-21 concentration was detected by mouse/rat FGF-21 ELISA (detection range: 40–2,560 pg/ml) (Biovendor, Brno, Czech Republic) and murine FGF-21 concentration was detected by mouse recombinant FGF21 RIA (detection range: 0.234–30 ng/ml) (Phoenix Pharmaceuticals, Burlingame, CA, USA). Isolated primary adipocytes were incubated in DMEM solution containing test agents for various time periods at 37°C. 3T3-L1 fibroblasts (American Type Culture Collection, LGC Standards, Wesel, Germany) were differentiated to mature adipocytes [27, 28]. Criteria for differentiation were: ≥1,000-fold increase of Fabp4 relative to Gapdh and lipid droplet formation in ≥95% cells (data not shown). All experiments were performed between the eighth and tenth day after induction of the differentiation. Adipocytes were pre-incubated overnight in serum-free DMEM, washed with PBS and incubated with test agents. Medium was collected and clarified by centrifugation (800 g, 10 min) and stored at −80°C. Proteins were isolated from 3T3-L1 adipocytes, as described and resolved on SDS-PAGE . Membranes were incubated with anti-FGF21 antibody (ESM Table 2), washed and exposed to a secondary antibody (ESM Table 2). Signals were detected by enhanced chemiluminescence (GE Healthcare Europe, Freiburg, Germany) and visualised using x-ray film. Membranes were stripped and incubated with anti-β-actin antibody, as the loading control . Intron-spanning primers for murine Fgf-21 were designed by ProbeFinder 2.45 (Roche Applied Science; ESM Table 3). RT-PCR was performed as described . The specificity of the PCR products was monitored on the basis of melting-curves analysis. The relative quantification of the target gene product was calculated using LightCycler Software 4.5 with the reaction’s efficiency correction. Statistical analyses were performed using SPSS 19 (SPSS, Chicago, IL, USA). All data are expressed as means ± SEM, unless otherwise stated. Baseline characteristics were compared as previously described . Serial changes in glucose, insulin, glucagon and FGF-21 after glucagon or placebo administration were analysed using ANOVA for repeated measures. When the ANOVA was significant, changes were compared with baseline values using the Student’s t test for paired analysis for normally distributed data. In the case of skewed data, the non-parametric Wilcoxon test was used. All significances were two-sided and p values <0.01 were regarded as statistically significant (as corrected by Bonferroni for multiple testing). The baseline value was calculated as the mean of the −30 and 0 min values. AUCs, calculated by the trapezoid method, were used to compare the timecourses of each variable after glucagon and placebo administration, as described previously . Data from animal and cell culture studies were derived from at least three independent experiments, performed in triplicate, unless otherwise stated. Differences between groups were analysed for significance using one-way ANOVA and Tukey’s post hoc analysis. Statistical significance was assumed when p < 0.05. The baseline characteristics of the study participants are presented in Table 1. Plasma glucagon concentrations increased by eight- to ninefold 30 min after glucagon administration (355.9 ± 21.7 ng/l [LP]; 340.6 ± 25.6 ng/l [type 1 diabetes]) and returned to baseline levels after 240 min in both groups (ESM Fig. 1a, b). The overall rise of glucagon was in agreement with maximal or submaximal physiological fluctuations during the course of the day or during hypoglycaemia . The glucagon AUC240 values increased in both study groups (921.4 ± 96.4 ng l−1 min [type 1 diabetes] and 800 ± 71.9 [LP]; p < 0.01]and were comparable (p = 0.4). In type 1 diabetic people, glucose levels increased maximally after 60 min with a slight decrease towards baseline after 240 min (5.3 ± 0.4 mmol/l [baseline], 11 ± 0.5 [60 min] and 7.8 ± 0.6 [240 min]; p < 0.01) (ESM Fig. 1c). Glucose levels slightly increased after 30 min in LP and returned to baseline levels after 120 min (4.5 ± 0.2 mmol/l [baseline], 6.2 ± 0.4 [30 min] and 3.7 ± 0.2 [120 min]; (p < 0.01)] (ESM Fig. 1d). The glucoseAUC240 increased in patients with type 1 diabetes (p < 0.01) but not in LP (p = 0.917), and values were higher in type 1 diabetic individuals compared with LP (453.6 ± 36.8 mmol l−1 min [type 1 diabetes] vs 240.7 ± 7.5 [LP]; p < 0.05). Plasma insulin concentrations did not change after glucagon or placebo administration in patients with type 1 diabetes (p = 0.2–0.6) (ESM Fig. 1e). Compared with the glucose excursions, plasma insulin levels showed a similar increase with a peak after 30 min followed by a decrease towards the baseline level after 120 min only in LP (32.9 ± 4.1 pmol/l [baseline], 199.3 ± 21.7 [30 min] and 26.7 ± 6.9 [120 min]; p < 0.01) (ESM Fig. 1f). In LP plasma, the increase in insulin levels over the first 120 min after glucagon administration caused a significant decrease in NEFA concentration (a surrogate marker of lipolysis) (NEFAAUC0–120: 35.3 ± 3.2 mmol l−1 min (glucagon) vs 137.3 ± 10.8 (placebo); p < 0.01) (ESM Fig. 2). In contrast, NEFA levels showed a comparable increase over the first 120 min following glucagon or placebo administration in patients with type 1 diabetes (ESM Fig. 2). Compared with placebo, glucagon induced a sustained increase in circulating plasma NEFA concentrations over the last 120 min of the test period in both LP (NEFAAUC120–240: 592.1 ± 58.7 mmol l−1 min [glucagon] vs 126.1 ± 6.1 [placebo]; p < 0.01) and in type 1 diabetic study participants (NEFAAUC120–240: 243.9 ± 20.7 mmol l−1 min [glucagon] vs 126 ± 5.4 [placebo]; p < 0.01) (Fig. 1a). A counter-regulatory increase of insulin prevents glucagon from stimulating lipolysis under physiological conditions, and therefore glucagon-induced lipolysis was studied in mice with insulinopenic diabetes (Table 2). Plasma NEFA levels increased 4 h after glucagon administration in diabetic mice compared with vehicle-injected mice, and this was blocked effectively by the glucagon antagonist des-His1[Glu9] glucagon amide (Fig. 1b). Glucagon stimulated release of glycerol (a surrogate marker of lipolysis) from adipocytes isolated from non-diabetic rats after 2 and 8 h (Fig. 1c). The maximum increase in lipolysis (∼19% increase vs control, p < 0.01) was observed after 8 h (Fig. 1d). Because of the limited survival of isolated mature adipocytes, the prolonged effects of glucagon on lipolysis were studied using isolated rat pre-adipocytes that underwent experimental differentiation to mature adipocytes. Glucagon stimulated lipolysis after a 12 h incubation period during in vitro pre-adipocyte differentiation (Fig. 1e). Furthermore, glucagon time-dependently stimulated lipolysis from adipocytes isolated from rats 4 days after the induction of insulinopenic diabetes (Fig. 1f). The maximum stimulation of lipolysis (∼25% above basal) was observed after 1 h of incubation with 1 nmol/l glucagon. Administration of glucagon led to a sustained increase in plasma FGF-21 concentration over a total test period of 240 min in both study groups (Fig. 2a, b). The increase in FGF-21 was detectable after 30, 60, 120, 180 and 240 min in LP (0.14 ± 0.01 ng/ml [baseline] vs 0.23 ± 0.02 [30 min], 0.29 ± 0.02 [60 min], 0.27 ± 0.02 [120 min], 0.27 ± 0.02 [180 min] and 0.26 ± 0.01 [240 min]; p < 0.01) (Fig. 2a) and in the type 1 diabetes group (0.33 ± 0.05 ng/ml [baseline] vs 0.45 ± 0.04 [30 min], 0.47 ± 0.05 [60 min], 0.48 ± 0.05 [120 min], 0.48 ± 0.05 [180 min] and 0.47 ± 0.05 [240 min]; p < 0.01) (Fig. 2b). Plasma FGF-21 concentrations decreased after placebo administration in both study groups (p < 0.01). The FGF-21AUC240 was higher after glucagon administration than after placebo in LP (290.8 ± 65.6 ng ml−1 min [glucagon] vs −61.6 ± 4.8 [placebo]; p < 0.001) (Fig. 2c) and in the type 1 diabetes group (134.4 ± 35.7 ng ml−1 min [glucagon] vs −56.6 ± 6.1 [placebo], p < 0.001) (Fig. 2d). Glucagon increased plasma FGF-21 concentrations in lean mice fasted for 24 or 4 h (Fig. 2e and f, respectively). The increase in FGF-21 plasma concentration in animals fasted for 24 h was evident after 120 min and sustained at 240 min (Fig. 2e). In animals fasted for 4 h, FGF-21 plasma concentrations were increased at 15 min after glucagon injection, with the maximum increase after 120 min, and declined slightly after 240 min (Fig. 2f). Glucagon increased FGF-21 plasma concentrations in diabetic mice fasted for 24 h by approximately 1.8-fold after 120 min (p < 0.05 vs vehicle) and by approximately 2.9-fold after 240 min (p < 0.001 vs vehicle) (Fig. 2g). Des-His1[Glu9] glucagon amide effectively blocked the glucagon-stimulated increase in plasma FGF-21 (Fig. 2g). Liver Fgf-21 mRNA expression increased by approximately 35 and 39% in non-diabetic mice fasted for 4 and 24 h after glucagon injection, respectively (Fig. 3a). An approximately 45% increase in hepatic Fgf-21 mRNA expression was detectable in glucagon-treated mice with insulinopenic diabetes, and was blocked by des-His1[Glu9] glucagon amide (Fig. 3b). Fgf-21 mRNA expression levels in the fat tissue of glucagon-treated non-diabetic healthy mice (Fig. 3c) or mice with insulinopenic diabetes (Fig. 3d) were comparable with those detected in vehicle-treated animals. Glucagon increased FGF-21 secretion from isolated primary hepatocytes by approximately 20% (Fig. 4a, b). In adipocytes isolated from rats fasted for 18 h, glucagon stimulated Fgf-21mRNA expression by approximately 53% (Fig. 4c), whereas there was only an approximately 7% increase in adipocytes derived from non-fasted rats (p < 0.05) (Fig. 4d). In 3T3-L1 adipocytes glucagon dose-dependently stimulated FGF-21 secretion after 8 h, although to a lower extent than nTZD (10 nmol/l) (Fig. 4e). In addition, glucagon (100 nmol/l) stimulated FGF-21 protein synthesis and Fgf-21 mRNA expression after 48 h, although less potently than nTZD (Fig. 4f, g). We investigated the in vitro impact of FGF-21 on lipolysis using isolated rat adipocytes derived from STZ-diabetic rats. FGF-21 at 100 nmol/l stimulated glycerol release from adipocytes isolated from healthy rats after 2 and 4 h (Fig. 5a–c). In adipocytes isolated from diabetic animals, an increase in glycerol release was observed at 1 nmol/l FGF-21 (Fig. 5d–f), indicating that adipocytes isolated from STZ-treated rats are more susceptible to the lipolytic action of FGF-21. Overall, the lipolytic activity of FGF-21 was less potent than that of glucagon, isoprenaline or adrenaline (epinephrine) (Fig. 5g). To elucidate the contribution of FGF-21 to glucagon-stimulated lipolysis, adipocytes were incubated with glucagon (1 or 100 nmol/l) in the presence or absence of anti-FGF-21 antibody or an IgG antibody (negative control) (Fig. 5h). Immunoneutralisation of FGF-21 prevented FGF-21 from stimulating lipolysis and attenuated 100 nmol/l glucagon-stimulated lipolysis compared with controls. In agreement with these results, Fgf-21 mRNA reduction by approximately 66% in rat pre-adipocytes differentiated into mature adipocytes markedly attenuated glucagon-stimulated lipolysis, compared with cells treated with non-targeting siRNA (Fig. 5i, j), suggesting that glucagon regulates lipolysis, at least, in part via FGF-21. Recently, it has been shown that glucagon modulates Fgf-21 expression [12, 13, 14, 15]. Here, we extend these observations by reporting for the first time that glucagon increases, independently of endogenous insulin levels, circulating levels of FGF-21 in humans and rodents. Moreover, glucagon stimulates lipolysis in vitro, in healthy and type 1 diabetic humans and in insulinopenic rodents. Glucagon stimulates hepatic FGF-21 production regardless of circulating insulin levels. In isolated adipocytes glucagon stimulates FGF-21 secretion and lipolysis, while immunoneutralisation of FGF-21 or reduction of Fgf-21 expression attenuates lipolytic activity of glucagon. The increase of FGF-21 plasma concentration by exogenous glucagon regardless of endogenous insulin production is somehow intriguing, in view of the contradictory results of earlier studies showing that insulin regulates FGF-21 [12, 15, 17, 30]. Exogenous insulin increased plasma FGF-21 and Fgf-21 mRNA expression in skeletal muscle in humans . FGF-21 was detectable in four of 14 patients before and 11 of 14 patients after insulin administration. In healthy humans an approximately sevenfold increase in plasma insulin led to an approximately 10% increase in circulating FGF-21 . In contrast, removal of exogenous insulin in humans with type 1 diabetes resulted in an approximately 10% increase in plasma FGF-21 , suggesting that insulin reduces FGF-21. In addition, insulin inhibited glucagon-stimulated Fgf-21 expression in rat hepatocytes . In our study, high glucagon levels were associated with an increase in FGF-21 in both humans and rodents regardless of endogenous insulin concentration. In contrast to the experimental settings of the above-cited human studies, we did not investigate the influence of exogenous insulin on FGF-21. Glucagon increased hepatic Fgf-21 expression in both healthy and insulinopenic rodents, and stimulated FGF-21 secretion from isolated hepatocytes regardless of the duration of the fasting period, suggesting that the rise in circulating FGF-21 results from increased hepatic production. Glucagon stimulated FGF-21 secretion, expression and protein production in vitro in rodent adipocytes; however, no increase inFgf-21 mRNA expression was detectable in white adipose tissue in glucagon-treated animals. Highest density of glucagon receptors are found in hepatocytes [31, 32], but much less abundant in adipocytes [31, 33]. We therefore hypothesise that glucagon primarily stimulates FGF-21 secretion in the liver leading to high circulating FGF-21 which, in turn, may concomitantly suppress endogenous FGF-21 production in adipocytes. However, the contribution of FGF-21 to glucagon-stimulated lipolysis was clear from the in vitro experiments performed on differentiated adipocytes with suppressed Fgf-21 expression or with immunoneutralised FGF-21. Both experiments clearly showed that FGF-21 participates in glucagon-stimulated lipolysis. Our results are compatible with the observations that FGF-21 stimulates lipolysis in murine 3T3-L1 adipocytes . FGF-21 stimulated lipolysis in isolated rodent adipocytes, although with lower potency than glucagon, adrenaline or isoprenaline. Lipolysis was more potently stimulated in adipocytes isolated from insulinopenic animals; this could be explained by a higher FGF-21 sensitivity, as the circulating FGF-21 levels were lower in insulinopenic animals than in controls. However, the receptor status in adipocytes has not been investigated. The results of our current study, however, need to be interpreted cautiously, because of several limitations. Although our in vitro experiments with rodent cells clearly show a causative relationship between FGF-21 and glucagon-stimulated lipolysis, we were not able to show in vivo that glucagon-induced lipolysis in the fasting state in both healthy and type 1 diabetic or insulinopenic animals/humans is causally related to FGF-21 level. In addition, we did not evaluate the effects of glucagon administration on Fgf-21 expression in the fed state. Furthermore, our experiments were performed on adipocytes and hepatocytes isolated from rodents, as human tissues were not accessible. In isolated human adipocytes, long-term incubation of FGF-21 inhibited even adrenaline-stimulated lipolysis , suggesting that these discrepancies may reflect the use of different species. In line with possible species differences, we found that FGF-21 levels in type 1 diabetic patients were higher than in controls, while in animals the opposite was found. Other possible reasons for the differences are that type 1 diabetic patients were older and more obese than healthy volunteers. It is known that FGF-21 levels are higher in obese patients . Furthermore, FGF-21 plasma concentrations are not solely determined by glucagon, but are also affected by other hormones such as growth hormone (GH), which is able to induce hepatic FGF-21 production . In humans with type 1 diabetes mellitus GH levels are higher than in healthy lean individuals . Finally, in contrast to humans with type 1 diabetes, who injected a long-acting insulin analogue on the evening before the test, the study mice did not receive any insulin treatment and lost approximately 60% of fat pad mass after STZ injection. Another limitation of the human part of the study is the relatively high dose of exogenous glucagon used. However, the maximal fold rise in glucagon levels was kept within the maximal physiological daily fluctuations . Because of this limitation, we can state only that glucagon can increase the release of FGF-21 or lipolysis at the concentrations used in our study. Investigation of the ability of glucagon to induce these effects at lower concentrations, such as under fasting conditions or after a protein-rich meal, needs further dose-titration controlled clamp studies. In summary, we show that glucagon increases circulating FGF-21 independently of endogenous insulin levels. In contrast to the rapid onset of the lipolytic actions of glucagon, the FGF-21-induced stimulation of lipolysis is delayed. Taking the results together, glucagon seems to first stimulate lipolysis directly, with prolonged lipolytic actions presumably mediated in part by FGF-21. We thank A. Adamidou from Charité-University Medicine Berlin, Berlin, Germany, for her contribution to the collection of human data. We thank M. Petrovitsch from University Hospital Munich (Munich, Germany), K. Sprengel from the German Institute of Human Nutrition Potsdam-Rehbruecke (Nuthetal, Germany), and A. Schönknecht and P. Exner from Charité-University Medicine Berlin (Berlin, Germany) for excellent technical assistance. Support was from: Deutsche Forschungsgemeinschaft (STR558) to M. Z. Strowski; German Diabetes Foundation to M. Z. Strowski and A. M. Arafat; and graduate school (GK1208) of the Deutsche Forschungsgemeinschaft to A. M. Arafat. M. Skrzypski is the recipient of a 2012 Annual Fellowship for Young Scientists from the Foundation for Polish Science (FNP). AMA, MZS, PKa and MSk designed the study, obtained the data and wrote the manuscript. AFHP, BW and KWN contributed to the study design, reviewed/edited the manuscript and contributed to the discussion. EP-O, PKo, MSa, DS and TW obtained the data, drafted the article and revised the manuscript. All authors have given final approval to the current version to be published.